Who eats better, people in bustling metropolises where goods from all over the world are traded, or hardscrabble nomads who live on the hoof, and gulp down what they can catch or forage? 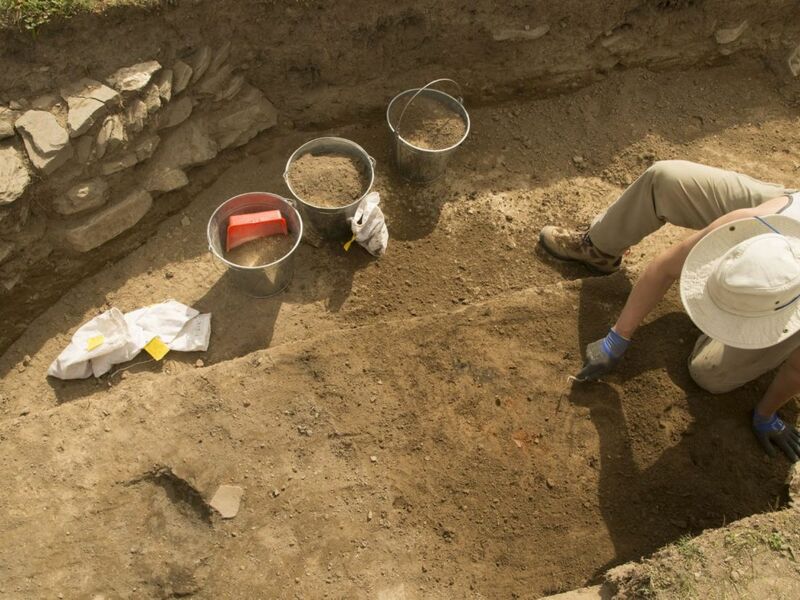 In perhaps unexpected findings based on bone analyses, medieval central Asia nomads had more diversified and healthy diets than city dwellers along the Silk Road trade routes, say archaeologists in Nature's Scientific Reports. The cities, they report, were like a food desert. 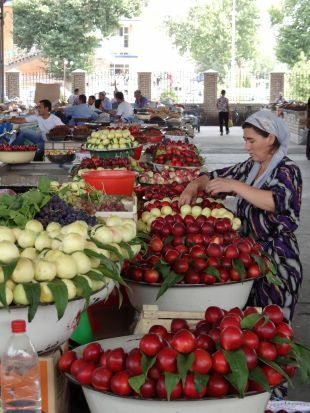 City people along the Silk Roads subsisted on local foods, not diversifying their diets with exotic goodies being traded in their cities as might have been assumed, says lead author Taylor Hermes of Kiel University who worked on the study with Prof. Cheryl Makarewicz and colleagues. Perhap nomads opportunistically took advantage of foods they came across. Or maybe they had to: the hungry will eat anything and more likely to willy-nilly diversify their diet. Central Asian nomads, really pastoralists, were mobile but also grew crops, Hermes explains. Their defining activity was herding, chiefly goats, cattle, sheep and horses. The so-called Silk Road was actually a network of land and sea routes plied by camel and boat from East Africa to Europe to Asia, over which goods from textiles to spices to silk were bought and sold. We also know that in the deserts of Asia and the Middle East, towns typically arose nearby water sources. But what people ate was another matter. 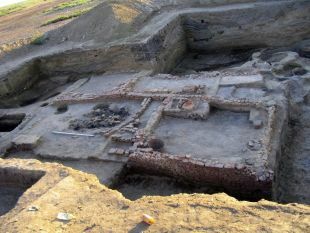 The Kiel University – Washington University study sought to shed light on the dining habits of people in the cities and pastoralists along the Asian terrestrial leg of the Silk Road, from the 3rd century C.E. to the 16th century. 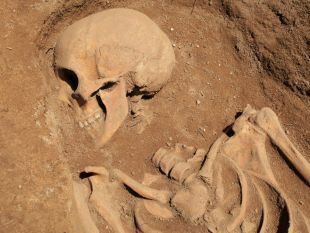 Diet was studied by analyzing the bones of 74 people buried in 17 cemeteries in Kazakhstan, Uzbekistan, and Turkmenistan. True, 74 specimens is a puny sample for such a vast time period, Hermes says: but preserved human remains are rare and they worked with what was available. “The isotopic composition of bone collagen gives us general information about broad categories of foods that people ate,” Hermes explains. Millet for example has a unique carbon isotope signature that can be detected in people and animals that eat it. “Other factors include the relative abundance of meat versus plants in the diet. Higher meat consumption shows up as higher nitrogen isotope ratios in bone collagen,” he says. Among city people, the archaeologists found a combination of low isotopic variation within each given urban group - and also, isotopic distinction between different urban communities irrespective of local environmental conditions. The requisite conclusion is that the city dwellers ate local food, not indulging in produce passing along the trade routes, Hermes explains. Nomads evinced higher dietary diversity. “The unique patterns that emerged in our study indicate a real distinction between dietary diversity of nomads and urbanites,” he tells Haaretz. But perhaps the Silk Road city culture was conservative? Maybe the people wouldn’t touch unfamiliar things with a barge pole. Or perhaps, the townsfolk were laborers who couldn’t afford the goods passing through their lands. Maybe grousing about the cost of living in Israel goes back to the dawn of civilization. Meanwhile, the itinerants subsisted on whatever they could. People generally seem to feel that civilization is a good thing, so too agriculture, but the fact remains that we still aren’t sure farming did well by us. The rigors and uncertainties of nomadic life were supplanted by sedentary ways, and other problems subsequently emerged. It's possible the switch from hunting and gathering to agriculture caused the human diet to become less diverse. However, agriculture may have created a storable food source that could bridge times of scarcity, Hermes and Prof. Cheryl Makarewicz tell Haaretz. “The same goes for when people began managing animals such as sheep, goat, and cattle these animals would have provided a predictable source of meat and fat as people could plan the timing of slaughter,” Makarewicz adds. When agriculture actually began is a highly controversial topic. Some archaeologists identified early farming going back 23,000 years in Israel; others suggest that people may have engaged in some cultivation back then, but it fell short of subsistence farming: they still lived chiefly off of foraged and hunted foods. In any case, there is near-consensus that agriculture began in the Levant and/or southern Turkey. Farming of grains such as wheat and barley, and animal husbandry, had reached into southern Central Asia by the 5th millennium B.C.E. There isn’t enough evidence or research to say much more, at this point. Hermes adds though that millet farming for instance originated in northern China (not the Levant) and spread to the steppes, and it was embraced by early Bronze Age nomadic communities during the third millennium B.C.E. Clearly, he says, it wasn’t traders on camels who spread millet agriculture, but nomads. Meanwhile, as nomads wandered the steppes, the rise of complex society and urban crowding evidently drove wealth inequality – likely resulting in poorer health for most city dwellers, says Hermes. 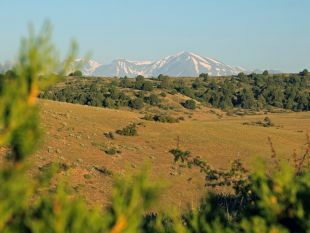 As for non-urban settings, central Asia isn't just vast grasslands interspersed with goats: it is an enormously variegated landscape and resources are patchy, especially around mountain and desert margins, explains Hermes. That in turn reflects on enormous potential variegation in diet, if one gets about on horseback or camel, instead of squatting and pounding millet in the courtyards of houses passed down the generations.